The Penobscot Fly Fishers is established as a nonprofit Club charted by the State of Maine and Section 501(c)(3) of the Internal Revenue Code as it may be amended. The purpose is to promote fly fishing and conservation through education, volunteer services and personal conduct. All members shall agree to support the purpose and objectives of the Penobscot Fly Fishers. The Board of Directors may, by two-thirds affirmative vote of all members of the Board, suspend or expel a member for due reason. Dues will be payable by June 1st of each year. Dues may be changed by an affirmative vote of at least seven members of the Board of Directors. Members who have not paid their dues by the October General Meeting will be dropped from the membership list. Dues for new members joining after January 1 will extend to May 31 of the following year. Meetings shall be conducted in accordance with Roberts Rules of Order, except as specified by these Bylaws. General meetings will typically be held on the first Wednesday of each month with the time and place published in the monthly newsletter. A quorum will consist of the members present. Board of Directors meetings will typically be held on the third Wednesday of each month with the time and place to be decided at the previous Board meeting. A quorum will consist of at least 7 members of the Board present. Special meetings of the Board may be called by the President or the Secretary upon request of any three Board members. 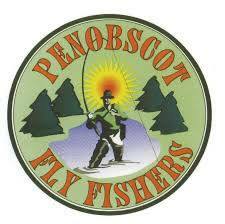 Officers of the Penobscot Fly Fishers will be elected for a 2 year term. Officers may be elected to the same position for a maximum of two successive terms. The president will preside at all regularly scheduled and special meetings and has overall responsibility for Club affairs, as directed by the Board. The President will be authorized to sign Club checks and make transactions in the Club savings accounts. The Vice President will be chair of the Membership Committee and/or other duties as assigned by the President, and will assume the duties of the President in his/her absence. The Secretary keeps Club records and minutes of meetings, normally handles all Club correspondence, and archives Club records. The Secretary is a member of the Membership Committee. The Treasurer is responsible for all Club finances. The Treasurer prepares annual budgets for review by the Board of Directors followed by approval at a General Meeting each May, and prepares monthly financial status reports for Board Meetings. The Treasurer will be authorized to sign Club checks and make transactions in the Club savings accounts. The Treasurer shall maintain Club financial records for at least six consecutive past years. The Board of Directors shall control the business and affairs of the Club and will be permitted to expend up to $250.00 in unbudgeted funds for the Club purchases without approval by the general membership. The Board shall consist of four elected officers, the immediate past President and six elected members. The six elected members shall have terms of three years each, with two members to be elected each year. A Vacancy on the Board, other than the President, will be filled by nomination by the President with the approval of the Board of Directors for the unexpired portion of the term. In the event the President leaves office, the Vice President will assume the Presidency for the unexpired portion of the term. In the event the President and the Vice President are unable to execute the office of the President, the Secretary will assume the Presidency for the unexpired portion of the term. In the event the immediate Past President leaves that office, it shall remain unfilled. Any member of the Board may be removed from office for malfeasance, failure to execute Club policies, nonmember status, and/or negligence of duties including fiduciary responsibility by at least two-thirds vote of all members of the Board of Directors. The Nominating Committee will select from the membership list a slate of candidates for all Officers and Directors whose terms will expire, at the November General Meeting. At that time, further nominations will be accepted from the floor. All nominations will be published in the Club Newsletter and the election will be held at the December General Meeting. All elected Officers and Directors will assume their duties at the January General Meeting. A three person committee will be appointed by the President by the June General Meeting to serve for a two year term. Duties of the committee will be to select nominees for Officers and Directors. Any member of the Nominating Committee shall not be eligible to be a candidate for Officer or Director. The Committee will consist of the Vice President, the Secretary and any other members of the Penobscot Fly Fishers as appointed by the President. Other committees may be established with members appointed by the President at any time to better serve the functions and needs of the Club. Upon the dissolution of the Penobscot Fly Fishers, assets shall be distributed by the Board of Directors to one or more exempt purposes within the meaning of Section 501 (c)(3) of the U.S. Internal Revenue Code, or corresponding sections of any tax code subject to any order of a court of competent jurisdiction. These Bylaws may be amended at any General Meeting of the Club. The affirmative vote of 2/3 of the members present will be required for the adoption of any amendment. Notice of the proposed amendment will be published in a Club Newsletter at least 30 days prior to the General Meeting at which the vote will be taken.